Some are even more forward-thinking and opt-in to automate social media marketing in order to fortify their presence on the web. Invoking the help of automation tools in your social media marketing is a welcomed decision. You can be shaving off a considerable amount of time off of your social media marketing with this simple change. It’s been estimated that on average, 3 hours can be saved each week by utilizing social media automation tools. Time is a precious resource – by automating your social media marketing, the time saved can be allotted to more pressing matters. We are here to discern social media automation. Let’s see how to automate social media marketing so it elevates your digital marketing efforts. When to automate social media marketing? Before you take the plunge into social media automation, you must understand when automation should be used. 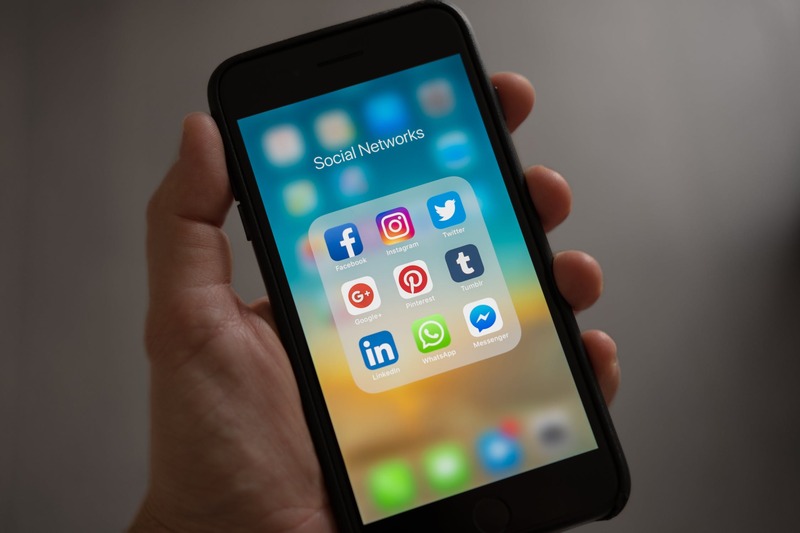 Knowing your social media efforts can all be scheduled and forgotten about is a dangerous mentality – it’s a great power, one that comes with great responsibility. Automation is meant to supplement your social media engagement, not replace your input entirely. People are more observant than you think – too much impersonal automated interaction can quickly turn sour. It’s actually the same with email marketing automation – it’s not meant to completely replace human input. Authentic interaction is something that a lot of consumers want, but don’t always receive. The foundation upon which your relationships are built needs to be genuine. Come to terms that the human element will always be present in social media marketing, automation is only there to lend a helping hand. The software won’t be doing the writing or content curation – this is all left up to you. Human input is a necessity for quality content creation that swoons the audience and gets them to participate in the conversation. Not all content that will inevitably find itself on your social media will be suitable for automation. There is a content creation rule that’s been floating around for some time: 5-3-2. Let’s break it down and see what these numbers actually mean. It will be applicable to your content delivery. 2 pieces of content need to be more personal, and less related to business. This helps to humanize your brand while sounding more authentic. The content above can be scheduled for automated delivery but you need to stay vigil. Various automation mishaps have happened which inevitably undermined the message that companies were trying to cultivate – be wary of how you schedule your content. You may have come across various quotes or statistics that relate back to your business or your audience. These are perfect tidbits of information that can also be automated across your social media platforms. It doesn’t take much effort to find some thought-provoking pieces of information that beckon the attention of your audience. A clear understanding of a posting schedule is viral. Your post may lose steam if it’s published at the time when your audience isn’t actively engaged on their social media platforms. Facebook offers higher content interaction at the begging of the week and the end of the week. It has been reported that on Mondays and Sundays, there is a 32% higher engagement rate than usual. On Thursday and Friday, the engagement was 18% higher than usual. Users have reported to feel happier on Friday. Consider incorporating some ‘feel good’ quotes and facts on Friday to spur social media engagement. LinkedIn user engagement is at its peak in the middle of the week, Tuesday through Thursday. Think about this social media interaction data. It may help you decide when to automate your posts or when to use a hands-on approach to push out new posts. Keep in mind that this data may not coincide with your audience, it’s just general information that could aid in schedule creation. Buffer connects your Twitter, Facebook, Google+, and LinkedIn accounts. It will allow you to create an automation schedule for when and where your content gets published. This tool is incredibly useful. All you have to do is create the content you want to be published and let Buffer handle the intricacies of getting it all online. Through Buffer, you can even track the user engagement that your content has procured. Analytics such as these aid in continuous content improvement and development. If you use Buffer for your business as a marketing or a promotion tool, EvergreenFeed might just be for you. With EvergreenFeed, you’re able to schedule any Twitter posts you create for automated posting. You can group your Tweets into buckets based on the topics of your choice. Each bucket containing tweets can be scheduled for automated posting – schedule it and let the software do the hard work. Social media automation is proven to enhance your presence on the web all the while leaving you with one less thing to worry about. It’s about time for you to embrace the much-needed change in your marketing and bolster your social media efforts. Uwe is the Co-Founder of social media automation addon EvergreenFeed. When he’s not busy coding new features or talking about social media automation, he’s normally traveling around the world as a digital nomad.